Honeybee tourism, or Apitourism as it’s officially known, is unique to Slovenia. As a country that’s home to 9,600 beekeepers, 12,500 apiaries and nearly 170,000 hive colonies, it’s no wonder they’re the first – and only – country to certify Apitourism providers. The experiences offered through Slovenia’s niche travel trend are as varied as the types of honey they produce. Travellers who take an ‘Api-tour’ in Slovenia can book onto a whole host of honey trails, candle-making workshops and beekeeping classes. 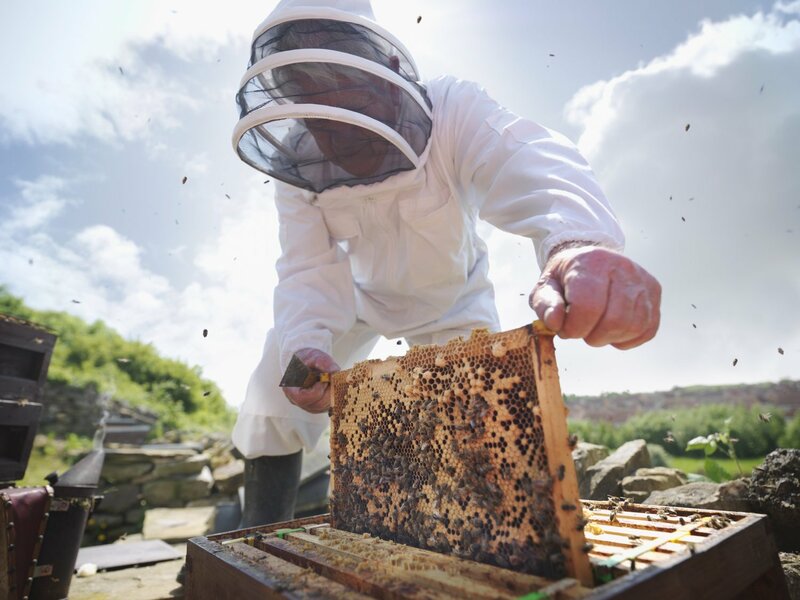 They are even pioneering ‘Apitherapy’ – a form of homeopathy that uses aromas from the beehive to help cure asthma and all sorts of respiratory problems. Many health tourists are also travelling to Slovenia for their rich sources of bee pollen, Royal Jelly, propolis and other bee-products – all said to have healing properties. It’s becoming one of the most niche travel trends out there. But with a strong underlying culture that encourages us to respect nature and tackle environmental issues, is this innovative travel disruptor also paving the way for eco-conscious travel? It’s no secret that our dwindling honeybee colonies have hit crisis point. Since the 1940s, the USA has lost 50 per cent of its bees. 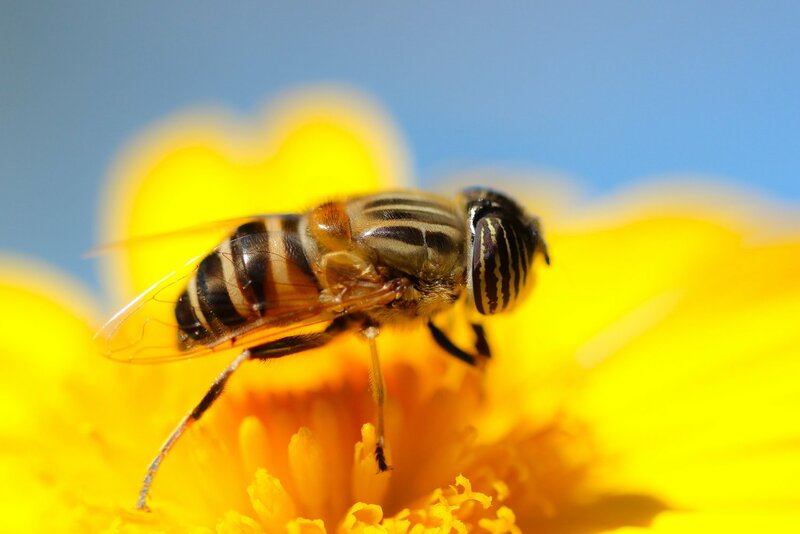 Last year the UK also reported that its bee deficit was so serious, crop pollination had plummeted to the second lowest in Europe, which has serious implications for our future food sources. Pesticides and fungicides, water contamination and dwindling plant diversity have all been linked to the problem. But until scientists find a solution, countries like Slovenia are helping us re-assess our relationship with nature. In 2003, Slovenia hosted Apimondia - the biggest beekeeping congress in the world. And after continued talks with the UN and agricultural ministries, they are also pioneering World Bee Day. The goal? To raise awareness of biodiversity and the effects of intensive agricultural methods on our global honeybee crisis. Gorazd Trušnovec is president of The Association of Urban Beekeepers in Slovenia’s capital city of Ljubljana – which next year will be hailed the European Green Capital for 2016. He helped form ‘Beyond A Construction Site’ – a community-based garden created from a former degraded plot of land. It’s now one of 40 urban gardens in the city and is being used as a community space for education and promoting Ljubljana’s green culture. This green space is also home to three beehives, which will form part of the Green Capital’s beekeeping trails for next year. "We had had to fight off prejudice because the image of the hives on the rooftops clashes with the idyllic idea of them being in the countryside," explains Gorazd. "But we’ve had [the honey] tested and it’s just as healthy in the city as it is in the countryside, if not more. We produce 20 kilos of honey each year because of the diversity of the vegetation we have in and around Ljubljana. The [urban beekeeping culture] will continue to attract tourists to our city." 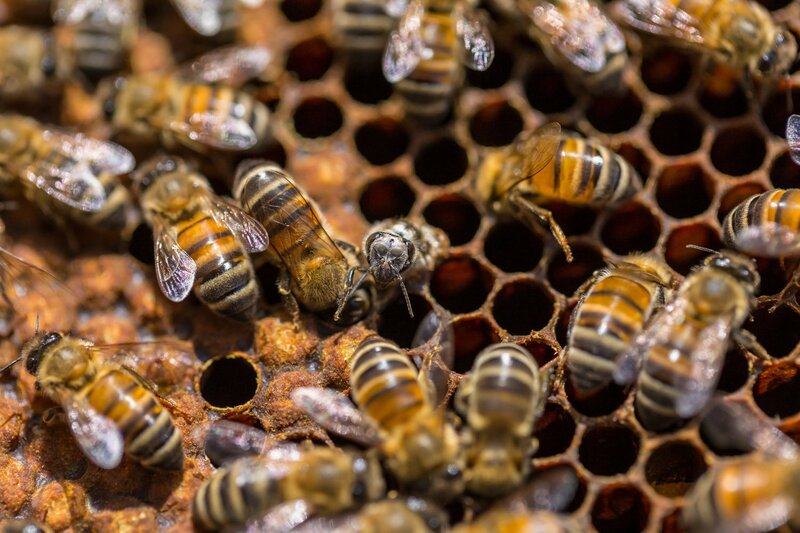 While groups like the Urban Beekeeping Association help educate people about the importance of bee pollination, tour companies like ApiRoutes are helping spread a wider green message. "Tourists are one of the biggest polluters, so tourism has to embrace sustainability," explains Tanja Arih Korosec, Director of ApiRoutes. "We have met with ABTA to discuss combining sustainable tourism and wellness with Api-tourism and they are welcoming [the movement]." She adds: "Apitourism helps businesses but it also helps raise awareness of our green credentials. If we can do something to encourage tourists to act in a more sustainable way, other countries will follow." Indeed, Apitours is a great example of a company who are embracing responsible tourism. As well as helping change our attitudes to the environment, they’re just as passionate about preserving their local heritage and helping support small start-ups. Danijela Ambrozi is one of the artisans who feature in their tours. She lives with her husband Blaz and found herself out of work when she had children. Now she’s the manageress of the Beekeeping Centre in the town of Lesce and makes a small income running workshops for children, painting traditional Slovene beehive motifs. "The problem is how much honey you make completely depends on nature," explains her husband Blaz who also splits his time between beekeeping tours and a job with The Forestry Commission. "One day though, I’d like to convert to full beekeeping and pass the skills onto my kids. My son is already learning and one day I hope it will become their full livelihood." Danijela and Blaz are just two of the many fascinating people you can meet on Slovenia’s many bee trails. Elsewhere, travellers get the chance to meet artisans, expert queen bee breeders and other ‘Api-enthusiasts’, as well as organic farmers who are helping promote slow-food production and green living. 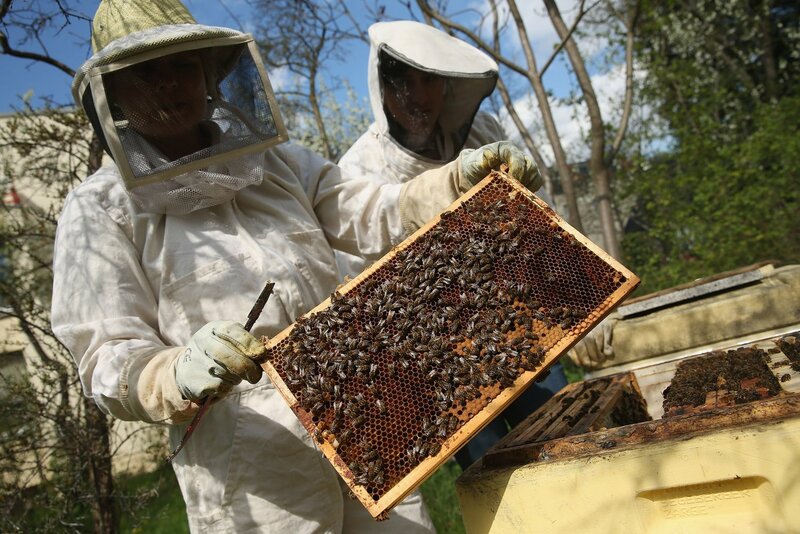 With World Bee Day gaining momentum and Ljubljana set to take centre stage next year, the future is definitely green for Slovenia and its tourism. Let’s hope this is a travel trend that proves to have wings.